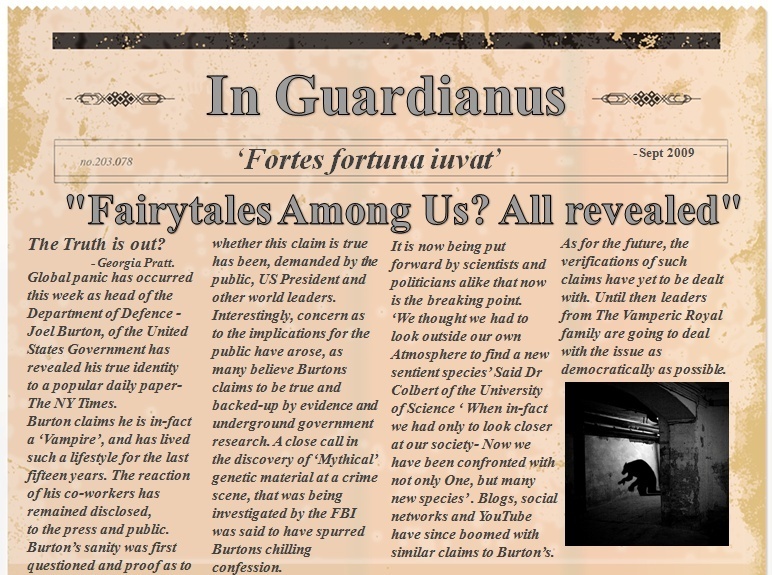 At this point the 'In Guardianus' Mythical newspaper was still and underground paper as Burton's accusations were still being examined. No other legitimate mythicals had yet stepped forward with proof of their species. Burtons claims were yet to be founded as true, many believed him to be insane. The few as spoken about in the article knew of evidence that the government had kept top secret.